ALL BRICK 4 BEDROOM 2 BATH HOME ON 6 BEAUTIFUL ACRES LESS THAN 2 MILES FROM BENNETT SPRINGS STATE PARK !! 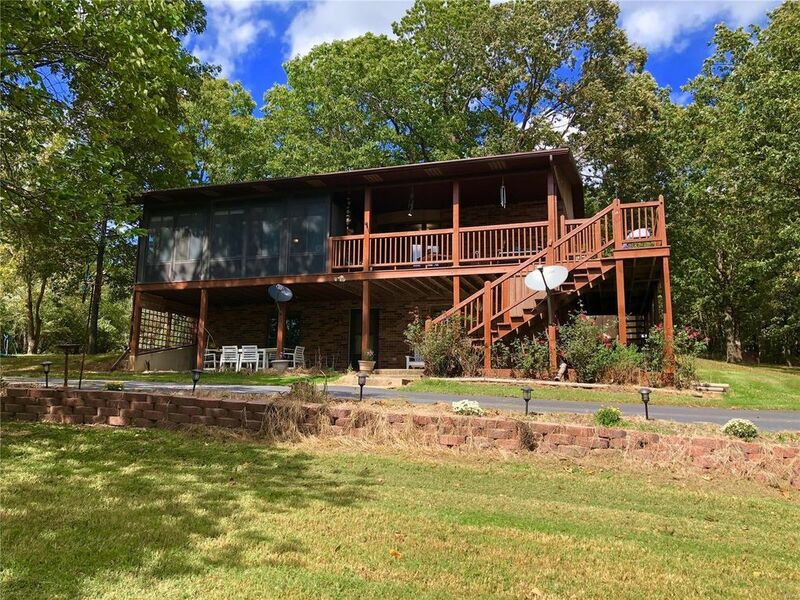 This 2240 Sq ft unique style home with a full finished walk out basement offering a large partially covered deck and a three season sun porch on the upper floor that has a gorgeous view of the Ozark's hills. The Kitchen has a spacious pantry. Dining area bay window opens onto the covered deck and living room looks out onto sun porch to give an open and spacious feel. Lots of closet and storage space all over the home. Downstairs offers a 38x13 family room, great area for a pool table, built in entertainment center for a large gatherings The bedrooms offer built in drawers in addition to double closets. Lower level covered concrete patio, great for relaxing or BBQ. Asphalt circular drive and parking area. 35 x 48 Garage/workshop w/ two 10x9 garage doors and is plumbed for a bath. New custom closet system, and bathroom updates. NEW INTERIOR PAINT JUST COMPLETED ! !